Looking for your first digital camera can be a daunting task especially if you are new on this subject. • Point-and-shoot cameras (sometimes just called compacts) - people usually buy a point-and-shoot for the ability to zoom, or to have access to things like a better flash or faster autofocus than a smartphone can provide. • DSLR cameras offer the fastest autofocus, burst shooting rates, and flexibility in choosing from a wide range of lenses. However, they are large and heavy to carry around. • Mirrorless cameras much more portable, smaller, & lighter than DSLR while offering the same overall image quality in many cases. They also often times offer more innovative feature like 4K video recording or connectivity options. • Focal length - determining the lens’ angle of view (shorter focal length means wider angles for your snaps). • Lens aperture (often an f-stop number) tells you how much light can enter the lens. Larger aperture openings (more light) have smaller f-numbers. 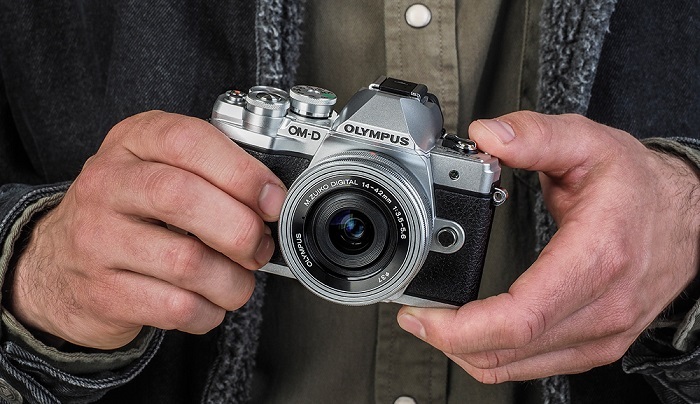 If you buy a digital camera with a larger aperture you have more control over low light shooting and will be able to achieve blurrier out-of-focus backgrounds. • Megapixels - more megapixels gives you more flexibility—you can print at larger sizes and crop without losing too much quality. • Optical zoom is simply how far you can zoom in. • ISO is a measure of how sensitive the sensor is to light. Generally the wider the range the better your camera can shoot in low light. The smaller the sensor and ISO range, the more noise your images will have in the dark. • Burst rate tells you how many frames you can fire off in rapid succession. If you are shooting fast moving subjects or fleeing children, a high burst rate might be beneficial. 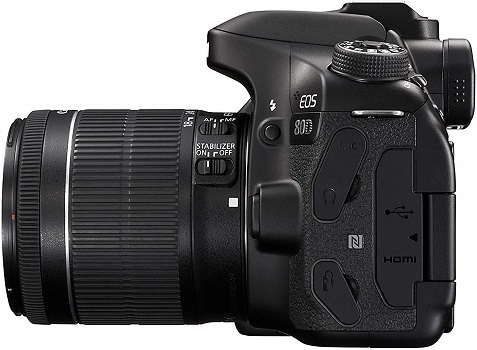 • Image Stabilization (IS), which limits camera shake and keep your shots and video clips looking sharp. 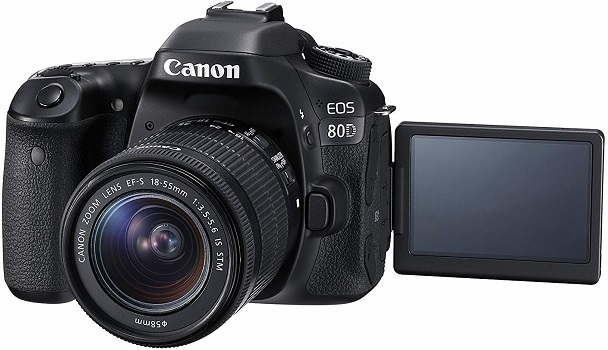 Canon EOS 80D comes with 24.2 Megapixel CMOS (APS-C) sensor provides high-resolution images and the DIGIC 6 Image Processor delivers excellent processing speed. • Menu system is less intimating. • Dual Pixel Auto-Focus is better than ever. • Continuous AF during movie capture is excellent. • Single SD card slot. • No clean HDMI output. 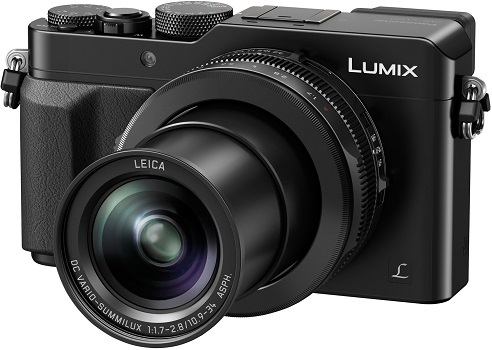 PANASONIC DMC-LX100K comes complete with an exciting range of advanced imaging features. It encourages direct, intuitive control with dedicated lens rings and dials, including aperture and control rings for precise zooming and focusing, as well as speed and exposure compensation dials. • Nice standard Hotshoe if you want flash. • Very high sensitivity and great low-light performance. • On it's widest focal length, you can focus down to about 1 inch, which is quite good for macro. • No built in ND filters. • Touch screen doesn't tilt. 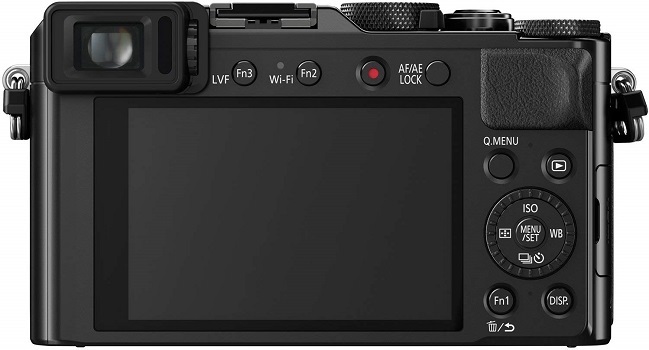 • 4K Point and Shoot Camera 3.1X LEICA DC Vario-SUMMILUX F1.7-2.8 Lens with Power O.I.S. • Clear and stable framing thanks to eye-level EVF (2,764k-dot). Optical Image Stabilizer POWER O.I.S. • Full hybrid photo experience with 30p 4K Ultra HD video and 4K photo mode. GoPro HERO7 allows you to record video HyperSmooth Video Stabilization to deliver insanely smooth footage. This camera is rugged, waterproof without a housing to 33ft (10m). • The low light video is a bit grainy. • Stream video directly to Facebook Live. • The hyperstabilization works really well. • Struggle with voice command. • Can get very hot when recording 4K. • You can't live stream and record in 4K. • No preview available while recording in 4K. • HyperSmooth Video Stabilization predicts your movements and corrects for camera shake. • Time Warp Video - Capture super stabilized time lapse videos while you move about a scene. Increase the speed up to 30x to turn longer activities into shareable moments. • Super Photo - Get the best photos automatically. With Super Photo, HERO7 Black intelligently applies HDR, local tone mapping or noise reduction to optimize your shots. • Rugged + Waterproof - Share experiences you can’t capture with your phone. HERO7 Black is rugged, waterproof without a housing to 33ft (10m) and up for any adventure. • Live Streaming - Share your story as you live it with video streaming to Facebook Live. You can save your streamed videos to your SD card in high resolution. • 4K60 Video + 12MP Photos - HERO7 Black shoots stunning 4K60 video and 12MP photos that are as awesome as the moments themselves. • 8x Sol-Mo Video - With ultra high frame rate 1080p240 video, you can slow things down by up to 8x to relive funny, interesting or epic moments in all their glory. • Intuitive Touch Screen - If you have a smartphone, using HERO7 Black will feel familiar. Three main capture modes with streamlined settings make navigating easy. 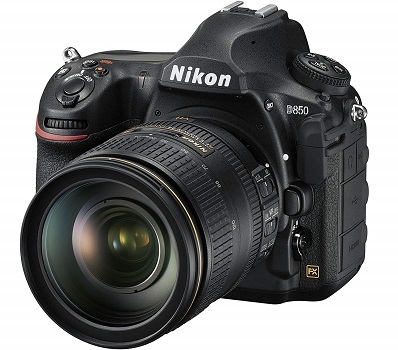 Nikon D850 comes with EXPEED 5 that quickly processes all 45.7 megapixels of data for lower noise, wider dynamic range, subtle tonal and textural details, high-speed continuous shooting at approx. 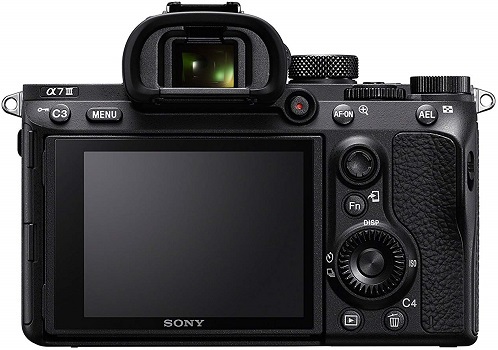 9 fps1 and full-frame 4K UHD movie recording. • Built-in Wi-Fi and Bluetooth. • Very responsive and intuitive to use touchscreen (no lag). • No focus peaking with 4K video. • Limited AF point coverage when using optical viewfinder. 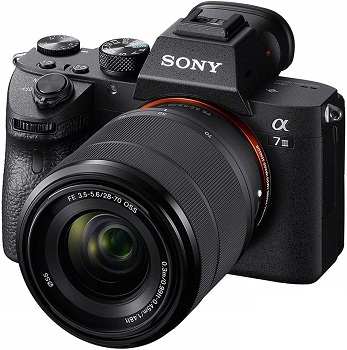 Sony a7 III offers a new capability of recording stunning 4k videos through 2.4-times higher oversampling. • Revised button layout for intuitive control. • Amazing autofocus that covers almost entire frame. • Only one uhs-2 slot. • Thin plastic port covers aren’t weather-sealed.